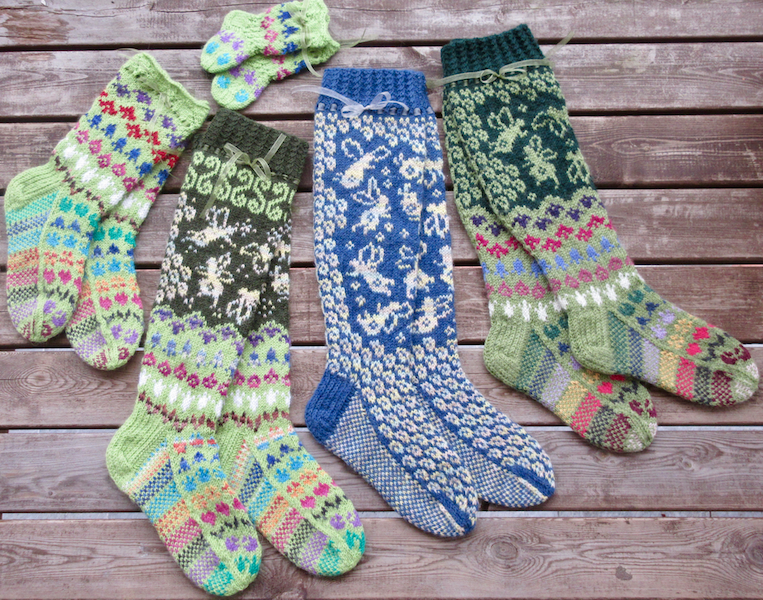 I knitted the first version on Meadow fairies of Novita Nalle yarns: Nalle, Nalle Garden and Nalle Taika. 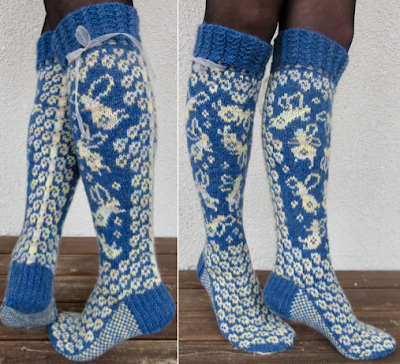 I was very pleased with the colors, but not pleased with the figures, so I had to knit another pair and this time I used Gjestal Maija. Now I was happy with the figures, but not pleased with the colors: Fairy color was wrong, lighter color would work better here. Sometimes it's like this. So the perfect combination would be to knit the final pattern from the Nalle colors or at least use light color for the fairies. The final sock is on the left and the proto version on the right. Flying on the Air was so fun to knit that I almost missed the funny fairies after knitted the last ones. Yarns are Novita Nalle and yes, I do like, what I have done. Flying on the Air pattern is available in Ravelry.